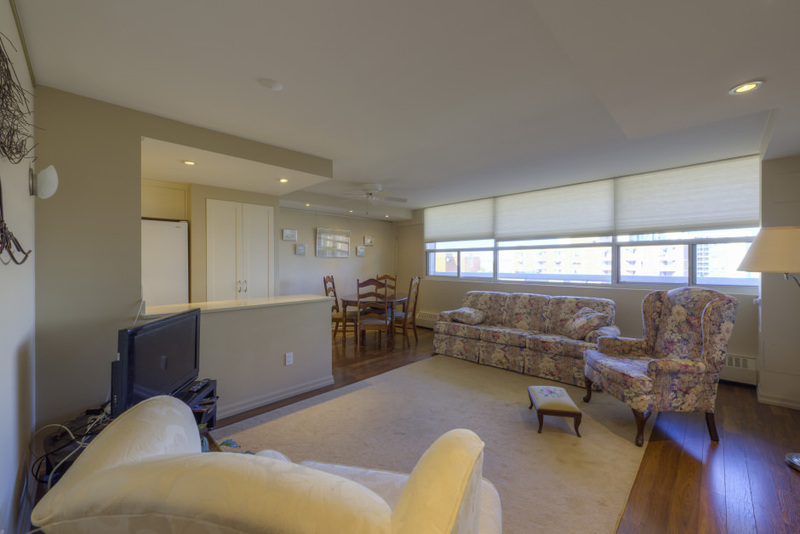 This bright 2-bedroom, 1-bathroom suite located a short walk to all Bronte amenities offers 1,048.2 sq ft with a spacious open floor plan. The living room/dining room provides access to the large balcony with spectacular lake and marina views from the eleventh floor. This unit features brushed silver hardware, laminate hardwood and upgraded light fixtures. Updated Kitchen with matching appliances, quartz counter tops, double under mount sink, soft close cabinets with glass display, valance lighting, deep pots & pans drawer, garbage/recycling drawer, and microwave shelf. The updated main bath includes a quartz counter top with under mount sink, large mirror with sconce lighting, shower with sliding glass door and separate shower wand. Enter the bright master through double French doors and enjoy all the natural light through windows on two sides of the room, a writer’s nook and plenty of closet space. The second bedroom in also spacious in size with fantastic views of the lake. Amenities including exercise room, games room, party room, work shop, and outdoor pool. 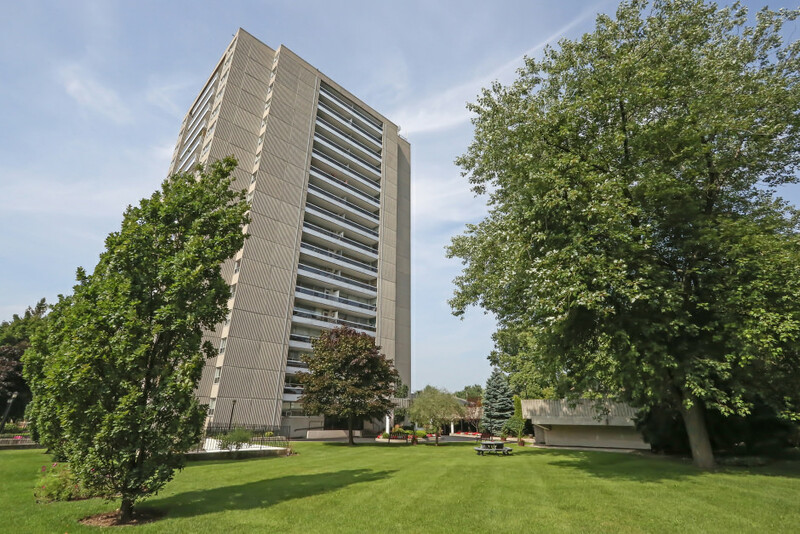 With 1 parking space and 1 locker, this well maintained building is located a short walk to the Lake and Bronte Harbour with its parks, children's play area, nature walks and marina. Short stroll to restaurants, coffee shops, pubs, shops, Sobey's and transit.